Week One: Determine project timeline. 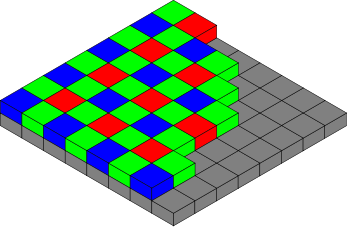 The Bayer Pattern is the current standard for how cameras take pictures on sensors. They consist of physical gels on the pixels that filter light to determine color. Take a picture - RED, BLUE, GREEN with a gel slider then composite them into an image at full resolution from black and white. For my midterm I focused on making my favorite ghosts, the hitchhikers appear and disappear in a processing sketch connected to my Arduino. As a person who only exists in the machine, how do you not have anxiety breakdowns without a physical biological connection? Does the creation of digital spaces create more fear of losing data? I don’t like when things don’t go according to plan but this week I had a lot of problems getting unreal to work on the machine I was on. It took an hour to finally figure out how to update Unreal on the school laptop. It took another hour to figure out that my assets weren’t importing correctly. Picture of coffee I drank in the early morning after on and off troubleshooting for several hours. When they finally did I could not get the textures to match right or the capsules to fill in, in the same way that they did in the demo. I ended up calling it quits there and will try again this week with my new scans in preparation for my final. Are breast physics used in heavily CG composited films as well? Is it a legal issue to ask a user to declare performed gender on a platform? Wrap 3 is great because it allows you to mold two rigs together and helps find the common geometry between them to fuse an average. This allows one to quickly rig skeletal figures. One of the biggest challenges with this assignment was understanding how to navigate the viewport but once I got that under control I was able to throw it into Adobe Mixamo. The Twerk… Which is what I did when I was finished. For my first circuit I managed to get a piece of copper stuck in my 5V port of my Arduino. I also managed to short a cable and finally figured out how to use wire cutters. Having said that I was able to build a contact switch that lit up when the buttons weren’t being pressed. If I learned anything it is to be more gentle with the cables. This week I scanned my good friend Hafi for the 3D Scanning assignment. Hafi was in his underwear so he could put CG clothes on the model later. I feel like were I to do this again, I will light it as opposed to depending on overhead lights. For practice sake I relied on overhead florescence which are in general just not good to use. One thing I did that worked however was have Hafi do a few pushups and sit-ups before hand. I think this helped capture his physique better. Despite the obvious differences in aesthetic, both systems gave me control over the body, hair, eyes, clothes, and facial hair. Neither gave me control over tattoos. While Adobe Fuse was quick and painless, I found it represented me a lot less quick than the power puff girl generator. I think the more details you have to fill in, the more time it takes to make something like this. Both Avatar simulators are missing a flexible ability to change body weight and posture. One question I have after the reading is - is it ethical to make an avatar that makes you feel cuter than an accurate depiction? I started by scanning dozens of handmade paper I got from Bic Arts Supply into 600 DPI. The key to this is that when warping the textures in After Effects the shapes will not become pixelated or distorted. 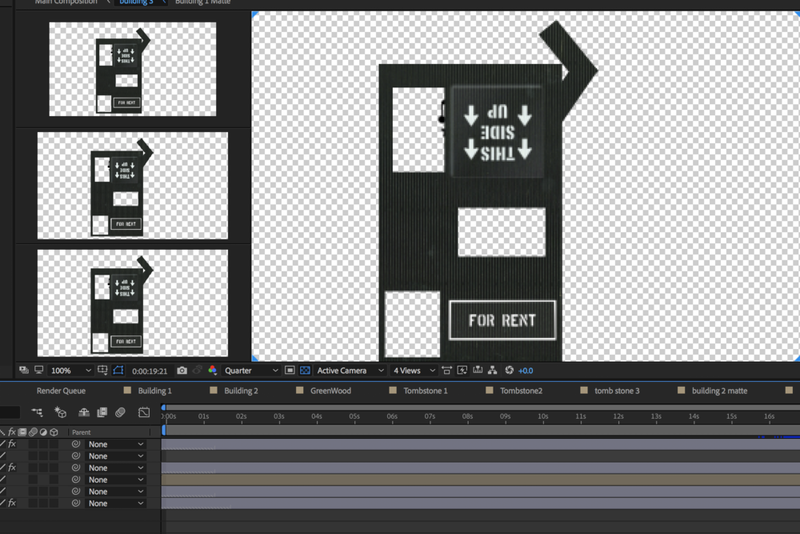 I then created all the basic vector shapes in After Effects and track matted the textures onto them. This would allow me to later move textures on the shapes as I did with the waves as they hit their final states. I will still be working on this water in the future. It was built using Red Giant's Trapcode Mir and several complex parentings on different null objects. I may go back and tweak this again to better suit my liking. For the Boat I heavily relied on the puppet tool to allow for subtle bends in the sails. Having some sort of fabric was important to me to create a lifelike appearance in the scene. I worked with some CG fabric to create the illusion of movement then I track matted it with one of my paper assets to add it into the world. Finally Everything was put together in After Effects 3D Space and then lit with a simple spotlight. Last Friday I went to the Visual Effects Awards. I had a great time. In general, it was a lavish night full of some extraordinary and interesting people. I made contacts with different compositors. Many of whom were my age and graduated from the Computer arts and motion graphics program at the School of Visual Arts here in New York. There were compositors working on projects as varied as the upcoming Cohen brothers film to Disney's Mary Poppins Returns. HBO's go-to VFX Supervisor Lesley Robson-Foster received a distinguished award from the society commemorating her career. They celebrated her upbeat attitude when it came to working on set and her passion for making exciting (and in many cases gruesome) visual effects. Outside of that there were many people interested in Virtual Reality filmmaking. We picked each other's brains and geeked out over what the future might bring. Expressing the Cycle of Brooklyn Gentrification I plan to tell a story making an interactive zoetrope machine. Using levels as the trigger, the user will set the zoetrope into motion on a virtual vinyl record player in a steakpunk fashion. The vinyl will turn thus creating the motions of people being forced to leave their houses and cockroaches reigning high. Zoetropes were initially called "Daedalum" or "The Wheel of the Devil" which poetically fits into the story of gentrification. I hope to show images such as silhouettes of people leaving homes and cockroaches moving into them. The lever you pull will look steam punkish. The machine they sit on will be an old fashion vinyl record player which will turn set to Natti Vogel's "We all move to Brooklyn". This week I was challenged to make a button that did something when you pressed it. The song that immediately came to mind was Raymond Scott's "Powerhouse". Working towards my final project I want to design a "machine like" factory of buttons that allows you to feel like you're in a control room. The emotion I was going for with this one is energetic. Essentially the two states the button sits in, are "rest with anticipation" and "activate" which is what happens when you toggle down. You can see my result here. For my Emotions in Motion class I was challenged to make a face for my computer. I wanted my computer's "Face" to represent me so I went with some fun colors and pretty basic astrology. I am a Virgo with an Aquarius Rising so I made the face a Virgo symbol. For the monstrous mouth I gave it the lines of Aquarius to reflect my own monstorous tendencies. This weekend I went to AbelCine's Open House which was the official unveiling of their new Brooklyn Location. Having been to Abel's West Village location many times it was bitter sweet to see this beautiful new facility. Ultimately though, I was inspired and happy for them. Inside they had every major camera manufacturer from Canon to Sony, RED to Arri and yes, even the new Alexa LF. The energy was exciting. Speakers such as the SNL Digital Short Cinematographers and Academy Award Winning Cinematographer Claudio Miranda gave presentations on the future of digital content making. I gobbled free food and played around with cameras and networked. AbelCine has taught me a lot in the past year. 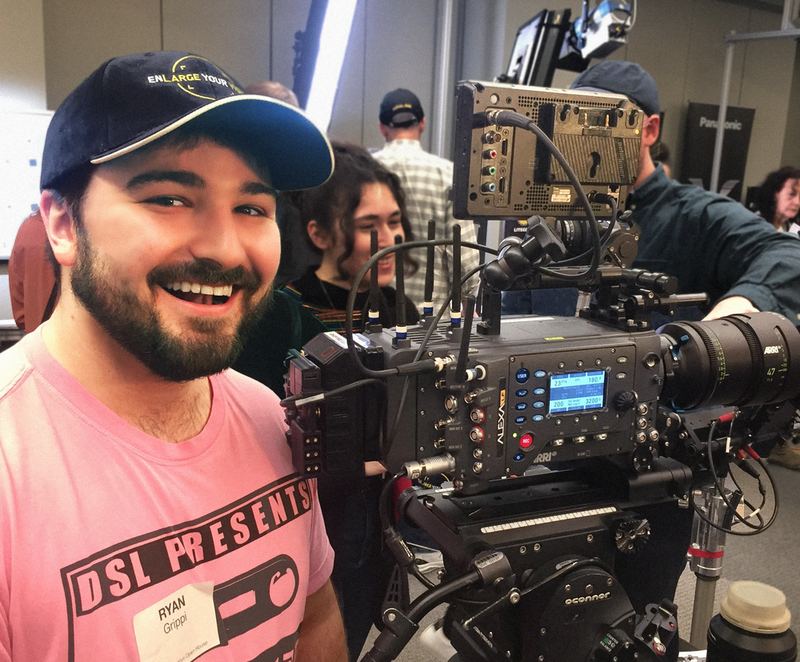 I took film geek training courses such as REDucation, Zeiss lens care, Sony FS7 training as well as dozens of Color Workflow workshops they held. Honestly, I became fond of the West Village and knowing that these camera brainiacs were only a few minutes away. With that said, film is an industry of innovation and bringing things forward. The new facility is state of the art and truly a marvel to look at. Who knows, perhaps the Olsen Twins will move into their building again one day! I truly wish you the best of luck AbelCine. Welcome home! Every morning I . . .
Take a shower. . . Drink my coffee half dead . . .
Look at my clock and run to work completely late. Last Summer I started a project called Routine Home Automation on Phone. It runs your phone like a stop watch and will eventually trigger smart home scenes in a sequence. With the knowledge learned in ICM I started the programming aspect of this over by creating an early prototype of the logic that would be used to run the workflow. 2. Allowing the user to create a basic concept of a "scene"
5. As the scrubber passes allow it to trigger accommodating attributes. I designed something super basic for myself. 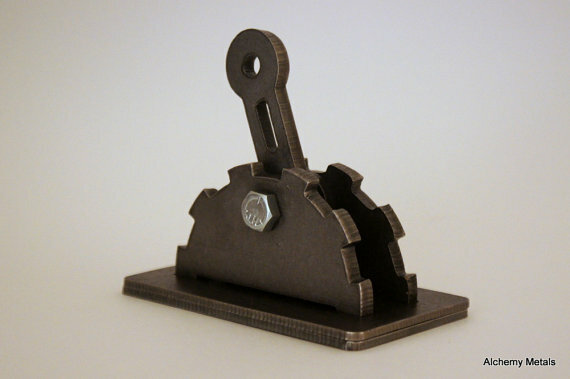 I was focused on the idea of making the objects that are generated playable by an order. Because I am taking a UX design class next semester and knowing that this would all have to be redesigned to meet Apple's iPhone style guides, I knew I could get better benefit out of that class only if I focused solely on the functionality I would need for the app as a whole. I started by working off some code made by Nloger on a Processing forum whom essentially created draggable constructor functions. Then I came up with a way to have them populate in the sequence inviting the user to play with them. Reference Code can be seen in action here. 3. Allow for scenes to be added, random and re-arrangable by the user. The "scenes" generated are of random colors to signify their uniqueness. In the app version I hope to eventually allow the individual attributes within the scenes to be programmable as well. I also will work toward making the scrubber circle not re-color with the newest scene. 4. Allow for the scrubber to pass each screen. This is done using If / Else Statements. This is the part that I have yet to complete. Overall with 4/5 goals completed for this project, I am pretty happy with where I am. I would like to continue to research and eventually add a time delay variable option as well as further design the ability of defining what a scene is. This week I got to work with the ever fabulous and talented Hafi Yandi. We were going for a Kaleidoscope look because we both had an enjoyment for stylistic and abstract art. Hafi created the drawings which use mathematics to draw and reflect shapes on themselves. The challenge for me was to develop sliders which changed the variable amount of shapes in the drawing. One challenge we had to overcome was how not to make the image look trippy. Hafi was brilliant enough to drop the Frame Rate from P5's 60 FPS to 25 FPS for a more film like look. For me, the challenge was to figure out how to set the sliders. Luckily, P5 processing has lots of great assets which helped put it together. All and All it was an enjoyable coding challenge AND I made a new friend! The shock of my first week in a masters program at NYU's Interactive Telecommunications Program didn't hit me until I started my first assignment. It was there I realized well this was inevitable, I'm in code school. Even my childhood best friend Kyle could have saw this coming when at 14 years old he announced I would one day pursue a degree in the computer sciences. . "Please Kyle I'm a filmmaker" I would argue. Well as anyone with a pulse and works in the entertainment business will tell you - the game is changing. In the past 10 years we've seen the shift of content demands moving toward web based delivery. The boom of Youtube, Vimeo, and Social media has created new fields for filmmakers to explore and everyone has become their own producer. Even still with devices like RED's Hydrogen and iPhone X just around the corner we'll continue to see a surge in demand for AR and VR work. My point of course is this: if the technology is just getting on it's feet, one should get in early to embrace it and learn its flaws before anyone else does. Of course, the funny thing about these tools is that they are being designed by gamers not filmmakers and what that tells you is that the solutions are not always there in front of us. Sometimes we need to build the things we need to use. This mentality has always been at the forefront of filmmaking. Camera operators, Visual Effects Artists, and Sound Recordists constantly build the tools that will help them achieve the effect they are looking for. I know you are amazed by my innovations (sarcasm). In truth this took me quite a bit of time! The first challenge I had was how to work with the coordinate system. There was no grid like you may have in photoshop so a lot of this had to be based off guesswork. However, after some time I slowly started to understand: this is a hierarchy. I worked with the stem then based the face code on that then gradually filled each shape to draw something else. The web editor was fine but I wish I had more time to research how the coloring logic worked with the face. Outside of that, I am happy I was able to draw a pumpkin as I really do love my pumpkin spice lattes. So how does an aspiring film producer find himself working in a high-end theatrical playhouse on the drop of a hat? 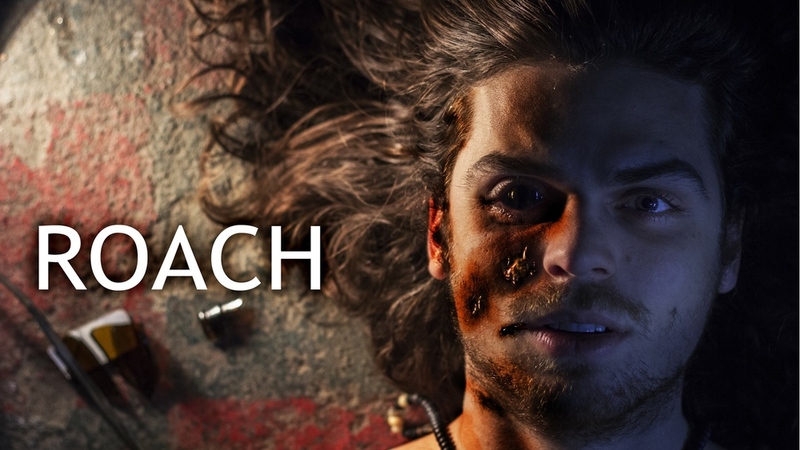 This month I had the pleasure of producing an upcoming psychological horror short film called "Roach". Proud to announce the release of my short film Carry On!